Sweet potatoes are incredibly healthy AND incredibly delicious. Sweet potatoes are rich in vitamins C and A and also contain loads of fiber and potassium. 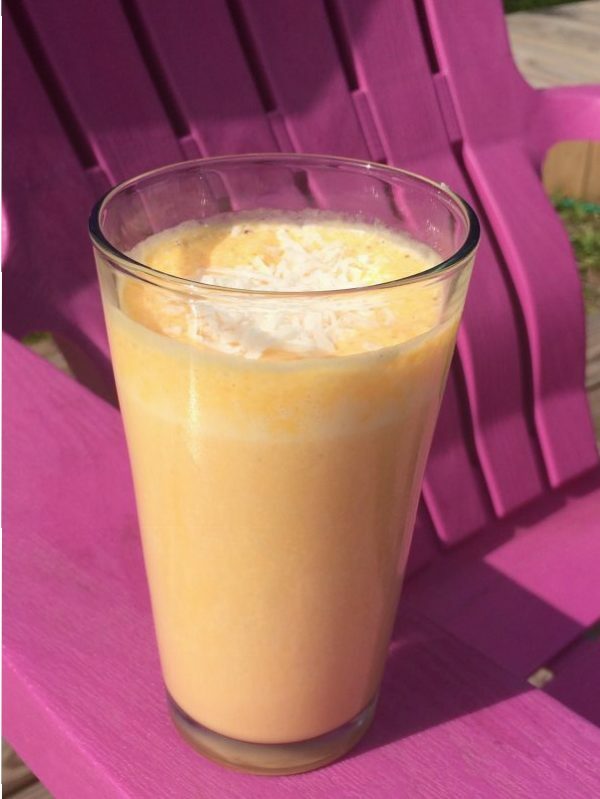 Drinking this yummy Sweet Potato Coconut Smoothie is a super healthy way to start your morning! Combine sweet potato, coconut or almond milk, yogurt, honey and nutmeg in a blender and blend until smooth. Add ice and blend again. Pour into two glasses and add shredded coconut.